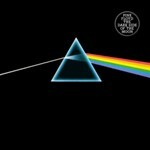 Pink Floyd is suing its former record label EMI over how royalties are calculated on internet sales. 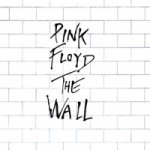 Among other things, the band is contesting whether its 1999 contract allows sales of individual tracks, as EMI contends, or mandates only complete album sales, which is how Pink Floyd interprets the contract. “When Pink Floyd’s latest contract was crafted in 1999, iTunes didn’t even exist,” EMI attorney Elizabeth Jones sums up the label’s argument. “Pink Floyd, EMI Brawl Over iTunes Royalties”. Almost all contracts are ambiguous, and parties whose incentives cause them to interpret contract terms in their own favor will disagree about almost any contract. Even the greatest transactional attorneys in the world can’t account for every contingency or every evolution of technology, biology or ecology. This is why courts look at the intent of the contract. Mediators bring disputing parties back to the contract’s original intent. Really good mediators can bring parties all the way back to their relationship at the time of the agreement and the reasons behind their decision to do business together. It’s not unlike reminding a divorcing couple about their courtship and their wedding to allow them to remember they didn’t always feel animosity toward each other. In 1999, EMI no doubt courted Pink Floyd for its business. Pink Floyd signed with EMI, even though the band likely had its pick of record label suitors. Both of them would do well to remember their original motives and intentions that drove their choices. In that light, they can view the disputed agreement (I find it ironic that people often fight over something called an “agreement”) with a less extreme interpretation, and each other as something less than the devil incarnate. Ken Cloke wrote in his book Conflict Revolution that most people have to reduce the other to evil to sustain a fight at the high conflict or heavy litigation level. Revisiting intent surrounding the original agreement can be a step toward humanizing the conflict. In reality, these two entities (they are both businesses, after all) will necessarily have a long-term relationship for as long as EMI owns the Pink Floyd catalog. What that means from a negotiation standpoint is that they can remain in a competitive state, they can settle the lawsuit with a compromise where each walks away still angry because they are anchored to their loss, or they can mediate collaboratively to a satisfactory resolution for both parties, thereby preserving their relationship. 2.) The right parties in the room. We mediators are always making noise about why having all decision-makers in the room is important. To have any kind of creative discussions, it’s required. 3.) A mediator who can steer the discussion (often repeatedly) from destruction to a constructive business meeting where the parties explore all options. For example, options in the Pink Floyd/EMI conflict could include exploring Pink Floyd buying back its catalog or allowing single-sales from all albums except the two top sellers, The Dark Side of the Moon and The Wall. A monetary settlement amount could be funded with something other than cash, such as EMI stock, which would give Pink Floyd a greater stake in the label’s success and direction. These conversations and other brainstorming around these issues can only take place when the table is set in a way that allows them to flourish. Most settlement discussions in similar cases start with a sky-high demand and a nuisance-value offer, if any. Where it goes from there depends on the lawyers and the mediator. But contract disputes have the potential of becoming much more than just a compromise around the dollars. Pink Floyd’s lawyer wants a finding determining what the contract says. If every contract in the industry was written the same and a court ruling would set precedent, perhaps litigation is necessary. But in the case of this unique contract, I submit that it’s not a verdict that is needed as much as a few creative minds.